Divi Page Builder and Elegant Themes Review - Don't Miss This! WordPress is an amazing platform, and what makes it even more amazing is the thousands of themes users can choose from. If you’re new to WordPress, and are looking for a theme to power your website or are hoping to replace your current theme, my Divi page builder and Elegant Themes review will be worth reading. With a community of 554,210 customers, these themes are wildly popular, have intuitive interfaces, and perform brilliantly. Elegant Themes (ET) doesn’t stop at theme design, they also offer Divi, their website builder, and three plugins to optimize website performance. Each theme is SEO friendly, which is critical for increasing organic traffic to your site, and no coding experience is necessary. The 88 themes, including the Divi theme, are broken down into 10 different categories. Which one you choose will depend on your particular niche, and the design you have in mind for your website. You can demo the themes you’re interested in before installing. Take a look at the various categories below. The Divi theme is Elegant Theme’s most popular theme and flagship product. In fact, Divi may be the most popular WordPress theme out there. The Divi visual page builder is extremely fast, with an impressive front-end editor. The Divi theme, along with the builder, are revolutionizing web-design. The Extra theme is a magazine-style theme that also uses the Divi builder framework. It includes a category builder that features post-based modules, has a drag-and-drop interface, and is fully responsive, meaning it’s optimized for any screen size or device. Extra supports WooCommerce, is updated frequently, and has an innovative “ratings and reviews” feature where you can invite readers to rate your posts, and the dedicated support team is available to troubleshoot potential issues. The Divi builder plugin is the ultimate page builder, offering a wide array of customization options to design your individual pages and posts. You can also create user-friendly landing pages to capture subscribers, build your list, and offer your free download to your visitors. This plugin combines all the awesome features of the Divi theme, packaging it into its very own plugin that can be used with any of the themes offered. Use the Divi builder modules, all 46 of them, to create engaging layouts that are easy to navigate. Each of these modules is like a building block that can be used together or arranged in a variety of ways to come up with a design you love. Thanks to the wide array of configuration controls, no coding skills are required. And if custom CSS is your thing, you’re in luck because the builder makes it possible to apply custom styles to individual modules. Bloom is an email opt-in plugin that lets you add subscribe forms to any location you want on your website. Having an opt-in form on your website is one of the best ways to convert your visitors into loyal customers. Choose from six different display types to add a unique form to each of your pages and posts. Email marketing is the best way to showcase your weekly content and grow your list. The Bloom plugin lets you target individual pages and posts. With over 100 customizable templates, the design possibilities are extensive. You can create automatic pop-ups to be displayed either before or after a post, or customize the form even further, and have it not display until the reader has made a comment or purchase. You can also place your opt-in using a widget on your footer or sidebar or embed a form that requires readers to subscribe before they can unlock premium content. The Monarch plugin is great for social media sharing, and was designed to capture more shares and followers. Social media marketing is an effective way to grow brand awareness, and drive traffic to your site. With Monarch, you can display over 20 social networks, and customize their arrangement. This plugin lets you add sharing buttons in five different location. Choose between a floating sidebar, above or below-content placement, or place your icons on videos and images. This feature is particularly strategic for video sharing, which is becoming more and more popular. You’ll even have the option to trigger an automatic or timed-delay pop-up when a reader reaches the bottom of a page or post. How your social media buttons display is up to you. Choose button colors, shapes, and hover effects. You can display network names, social counts, and icon orientation as well. Monarch sharing icons are completely responsive and mobile friendly. Since all ET themes are premium themes, you won’t find them in the WordPress’ theme directory, rather you’ll need to download a zip file and upload it to your site. The theme then installs the same way any other theme would. If you want to stay up to date with relevant news, visit Elegant Themes blog. Elegant Themes offers two pricing packages, a yearly access plan and a lifetime access plan. Each plan includes access to all themes, including the Divi builder and all plugins, theme updates, support, and unlimited website usage. Just as it sounds, the yearly plan is paid annually with a fee of $89.00 paid every year, while the lifetime access plan is a one-time lifetime fee of $249.00. The lifetime access plan is the most affordable in the long run. You pay the one-time fee of $249.00, and you’re done, receiving lifetime access to all 87 themes and three plugins. Although the price may seem steep initially, considering that one premium WordPress theme can run around $80.00, it’s really an awesome deal, and you can cancel your membership at any time or upgrade your package. Elegant Themes is running an anniversary sale where they’re offering 20% off both packages in celebration of their 11-year journey. It’s their biggest discount yet, and is available for a limited time only. Jump on this opportunity today if you want to take advantage of these savings. As you can see, the pros of using Elegant Themes far outweigh the potential cons. Before purchasing, give the free demos a try to see if you like the way the themes perform. I build all my sites on the WordPress platform. The theme and plugin options are incredible, and the dashboard is easy to use once you get the hang of it. 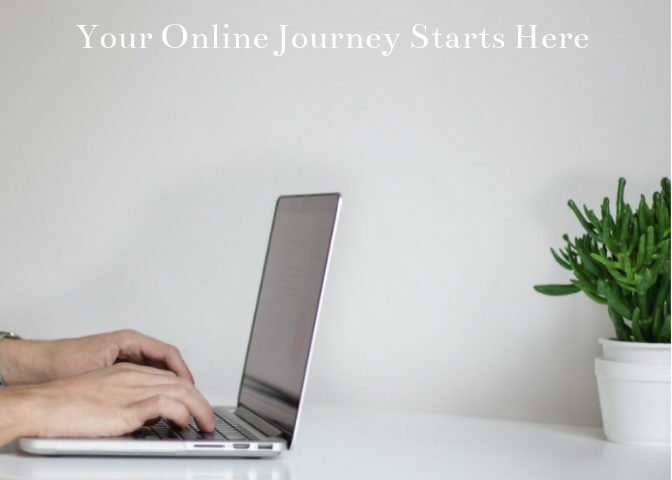 If you’ve ever contemplated starting an internet business, and are interested in how I got started, you can read my review. “Is Wealthy Affiliate Legit Or A Scam?” for more details. Wealthy Affiliate is an online platform that teaches internet marketing to those who are looking to launch an online business. Joining this extraordinary community is an exceptional investment in your financial future. The certification course teaches all the skills you’ll need to succeed online, including how to build a website, how to create compelling content to keep your readers engaged, and how to become an affiliate and monetize your site. The training makes learning fun, and implementing what you learned enjoyable. What’s better than learning a skill that will make you money, and allow you to eventually quit your day job?! Once you’ve learned the skills, the rest is up to you. Click this link if you’re interested in learning more. Undoubtably, Elegant Themes is one of the premier WordPress theme providers out there, with the Divi theme being one of the top themes ever. Both pricing packages are affordable, and include all 87 themes, the Divi builder, and three plugins. Website design has never been so exciting. Get your theme today! Are you looking for a WordPress theme with a drag-and-drop editor? Please leave your comments and questions below. I have a website and I built my landing page myself. Although, the plugin I used to build my landing page was quite easy, a drag-and-drop plugin, without the need for coding, would be really helpful. After reading your review about Divi page builder and Elegant themes, I think I will opt in for it. I love drag-and-drop editors that don’t require coding skills. Good for you for building your own landing page. Please do check out Divi and Elegant Themes. Thanks for taking the time to read my review! Thanks for writing this review on Divi page builder and Elegant Themes. I must say this is my first time reading any article on Divi and all it has to offer on the WordPress platform. You’ve convinced me to check out these themes, and I will when I build my next WordPress website. The lifetime plan seems quite affordable, considering you get all 87 themes and all 3 plugins. And the page builder seems really awesome. Thanks for you comment. Yes, the lifetime plan is really affordable, giving you lifetime access to all theme, plugins, and the page builder. It’s a great deal! It’s amazing to know that the Elegant Themes community boasts 554,210 customers, which is very impressive. Your Divi Page Builder is very explicit and easy to understand. The way you analyzed all the benefits and the features it has makes it very irresistible. I will consider utilizing this wonderful page builder for my blog also. Thanks so much for this wonderful and educational article. Yes, it is amazing how many customers Elegant Themes has, and with good reason. Their themes are incredible! I have read your article on Divi Page Builder and Elegant Themes Review. Really very nice review indeed. I appreciate this. Very thorough and helpful article about online marketing. Thank you so much for publishing this beautiful review. I would like to bookmark your page for further inquiry and also share with my friends. Lovely themes with great features. As a WordPress developer, I have developed numerous sites that include e-commerce. I know how getting a good and responsive theme can simplify my work and provide users with a good experience. The Elegant Themes look good, together with the plug-ins, and especially or someone like me who develops websites on a regular basis. The lifetime plan is a great bargain. The present 20 % discount makes it a must-have for me. Yes, the themes are lovely. Take advantage of the sale. It’s only on for a limited time! I’ve know several of my blogger friends use the Divi page builder. Now I understand why they really love it. There are soooo many customizable elements. I can imagine tweaking my blog a whole night just to find the perfect balance and UI for it. I’ve done it many times. I will consider taking advantage of the anniversary sale. Thanks so much for your information here. Divi is popular, I’m not surprised many of your friends are using it. Do take advantage of the Anniversary sale, and the 20% savings that are offered. This is interesting. I just opened my site a month ago to enhance my business and get it into the online world and I have been searching for the best theme that will suit and make my site unique. This article really provided me with the information I need to choose a theme, and what are the best options out there. Will these themes work for a site not built on WordPress?. Thank you. Elegant Themes and the Divi builder are designed for WordPress. Thanks for this informative review on Divi page builder. Your post has taught me about its flexibility and versatility. The features and options of the Elegant Themes Divi builder make creating websites more interesting and the power of the drag-and-drop editor are now available as the Divi builder plugin which can be used for any theme of my choice. Thanks for reading and commenting. Divi is flexible and versatile, and the drag-and-drop editor makes customizing a pleasure. The Divi plugin supports all themes. I really like how you gave us some pretty effective and useful plugins. I am currently building my website right now and this is something that that could help tremendously in the making or later down the road, thanks for the information. I heard of the Divi Plugin before and a few of my friends use it for their websites. Thank you. Good luck with your website!